Anyone involved in buying Data Center Infrastructure Management (DCIM) software or any B2B technology knows that selecting your final product can be a long, tedious, and risky endeavor. Despite many rounds of vendor assessments and lengthy Requests for Proposals (RFPs), choosing and implementing the right DCIM software can feel like a matter of luck. In fact, more and more modern data center managers are becoming dissatisfied with their initial data center management software solutions and are moving on their second rounds of DCIM software. Their unhappiness with traditional DCIM tools stems from a variety of factors. In some cases, the software may be difficult to use, lack key functionality, or have features that don’t work as expected. 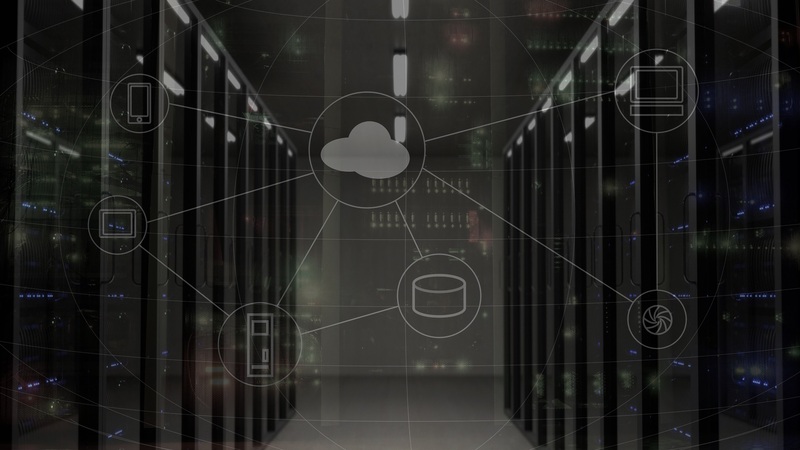 In other cases, the initial DCIM software deployment may have been successful but didn’t scale or provide the capabilities needed as organizations began modernizing their data centers. How can data center managers give themselves a better chance of selecting the DCIM software that’s right for their data center environments? The process for buying B2B software can still be improved. That’s why Hank Barnes, Vice President, Distinguished Analyst on the Tech Go-to-Market team at Gartner, shared his key tips for buying and selling B2B technology in a recent LinkedIn post. “Instead of worrying about features and benefits and capabilities–on both sides of the equation, the focus should be on scenarios,” said Barnes. Tip 1: In the early buying stages, don’t focus on features. RFPs and vendors assessments often focus on one item: features. However, Barnes warns against making features the focal point of your buying process, especially early on. Features should not be the only criteria for your data center management software selection. In fact, one of the biggest challenges facing data center managers in the DCIM software vendor selection process is avoiding the feature comparison trap. This tendency to evaluate and select your data center management solution based solely on an assessment of how many checkboxes or “Yes” responses each vendor has provided seems logical and data-driven. However, without evaluating the software itself based on your top one or two use cases or scenarios, it’s difficult to accurately determine how well both the vendor and product will suit your needs. Scenarios are the better way forward for evaluating and selecting the right technology solution for your organization. The key to a successful DCOI software project is to start small and expand over time. This holds true for scenarios and the vendor selection process as well. Instead of looking for a data center management software tool that addresses all your challenges, focus on your top use cases or scenarios. Once you have identified these top scenarios, use cases, or problems to solve, take your scenarios one step further to highlight the changes you want to see. Having both your current and desired states will help you focus on how to achieve this vision of the future and determine if the DCIM software you are evaluating can make your vision a reality. Tip 3: Ask vendors to demonstrate your scenarios. Once you have your scenarios defined, it’s time to share them with the vendors you are evaluating. “When engaging with vendors, ask them to use your scenarios to illustrate how they will help you drive to the improved model,” said Barnes. One of the best ways to evaluate DCIM software is through multiple demos. At the start of the demo, make sure to share your top scenarios with the vendor. A vendor focused on customer success will demonstrate key capabilities that align with your scenarios and your improved vision, rather than following a scripted approach. Note: Your first demo likely won’t be enough to show you the product depth and breadth required for you to make your decision. Book at least two if not three demos and include additional people from your organization so everyone can see how the software addresses different scenarios. Tip 4: Ask vendors for additional scenarios. In addition to asking vendors to demonstrate how their solutions can address your scenarios and improved vision of the future, you can also request that they share their own scenarios. “Allow, and encourage vendors, [sic] to provide additional scenarios (you might think of these as Commercial Insights from the Challenger approach) that might further your thinking,” said Barnes. Unlike most content that focuses on thought leadership, Commercial Insights based on the Challenger approach “un-teach” customers what they had previously taken for granted as conventional wisdom. Commercial Insights highlight what customers have misinterpreted so they can reassess the conventional way of doing things and consider a new approach instead. Just as data centers continue to evolve and modernize, so too do the software solutions used to manage them. Having your vendors share their most innovative and relevant customer case studies can help you understand the real-world application of their DCIM software to your own environment and help you re-think any preconceived notions you may have. At Sunbird, scenarios are a critical part of our product development process since we incorporate new feature requests from customer discussions and user groups into our product roadmap. We’ve also learned from customers and prospects what their biggest challenges are with legacy DCIM tools, and we address them in our industry-leading second-generation DCIM software. The point is to select a vendor who shares those key learnings and use cases with other customers to help them make the most of their DCIM deployment, build a more informed community of users, and develop a DCIM software solution that addresses real customer problems. Tip 5: Use scenarios internally. Scenarios aren’t tied to vendor discussions and demos only; they can be used in your organization to add insight and depth to communications and decision making. As previously mentioned, user scenarios are a strong starting point for any DCIM software deployment. However, it’s important to not take on too much too soon, or you’ll jeopardize your success. Instead, gain alignment and agreement on your top scenarios, develop them fully, and update them as necessary. Your scenarios will provide a benchmark to measure your success against, and they will help you keep your vendor selection, demo, proof-of-concept, and ultimately the project itself on track. Modern data center environments are becoming increasingly complex and difficult to manage. Today’s data center managers understand that choosing the wrong DCIM software solution can result in wasted time, money, effort, and most importantly, opportunities to optimize your data center operations. There may not be a panacea for all DCIM software evaluation ills, but following these tips will help you focus on what matters most: making sure your data center management tools address your biggest problems. Wondering if Sunbird’s second-generation DCIM software is right for you? Take a test drive today.